Mainers have a proud tradition of engaging in their communities, showing up to town meetings and discussing the issues important to them. Maine is a state that values the opinions of all of its residents, not just those with the biggest checkbook. But down in Washington, politicians are threatening to change the law and drown out the voices of everyday Mainers. For decades, the law has ensured that churches can serve their congregations and communities without political interference. They’ve been able to build communities without being forced to do the bidding of special interests. Unfortunately, this protection is under attack by politicians who want to turn churches into a vehicle for political contributions. Congress is targeting for repeal the Johnson Amendment, a law enacted in the 1950s to keep churches and charities from being political. To be clear, the amendment doesn’t stop pastors or congregation members from stating their personal political views, donating to the candidates they support or hosting voter registration drives. The amendment simply protects churches from being used by mega-donors to funnel secret money to support politicians in Washington. Right now, a spending bill moving through the House of Representatives includes a secretive measure — snuck in behind closed doors — that would cripple the Johnson Amendment. It would allow mega-donors to give money to a church for political purpose, such as funding those attack ads we see on TV every election year. Extreme politicians pushing the measure misrepresent ideas like free speech and religious liberty. But let’s call attempts to repeal the Johnson Amendment what they really are: another way to let special interests pour unlimited, secret money into politics. Churches are a sacred place where people of all backgrounds — and all political leanings — can come together despite their differences. 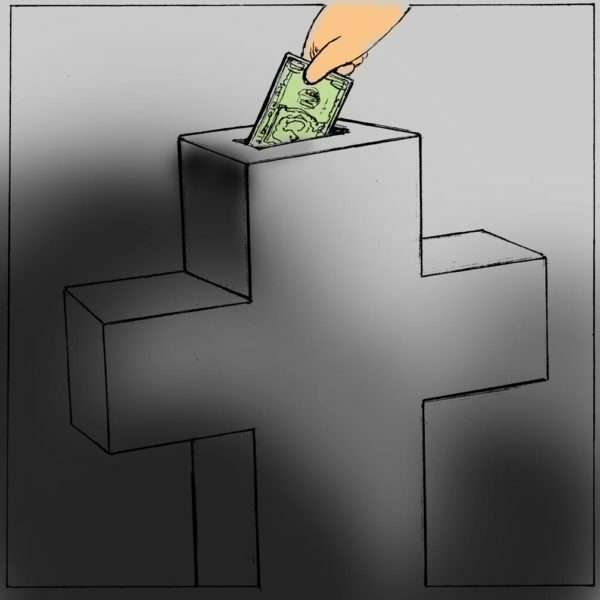 Allowing special interests to funnel their secret money through tax-exempt organizations could split churches along partisan lines and in some cases could effectively turn them into fronts for unlimited political spending. It’s no wonder that more than 100 faith-based organizations oppose the move along with a number of nonprofits, advocacy groups and my organization, End Citizens United, the largest campaign finance reform organization in the country. Congress should protect churches’ and charities’ ability to engage in their missions, not turn them into a vehicle for special interests to hide their political donations — and get a tax break while doing so. Especially not through the pulpit. Throughout his career, Sen. Angus King has been outspoken against dark money flowing into our elections. End Citizens United urges him and Sen. Susan Collins to stand against any attempt to repeal the Johnson Amendment and protect the sanctity of our churches and charities.